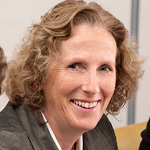 Alison is a Chartered Accountant with over 28 years’ experience working within the financial services industry. Alison has extensive experience working with private clients providing the full range of financial services ranging from accounting and taxation services, financial planning and wealth management, estate planning, intergenerational transfer of wealth strategies, asset allocation, superannuation and investment strategies and philanthropic activities, including establishment and operation of private foundations. Alison is an authorised representative of Apogee Financial Planning and together with Phil Bretherton established Donegan’s Wealth Advisers in June 2012. Alison completed a Bachelor of Business (Acc) at RMIT and has subsequently completed a Graduate Diploma of Financial Planning through the former Securities Institute of Australia (now the Financial Services Institute of Australia) and a Master of Law (JD) at Monash University. Alison’s focus is on providing highly personalised financial advice to clients and developing long term relationships with clients. In her spare time Alison is a passionate Hawthorn supporter and enjoys watching her three sons play sport, particularly hockey. Alison is also heavily involved in both club and regional hockey and is an advocate of the development of, and participation by players of all ages and abilities in the sport of hockey.